Experiencing an emergency? Does your home have serious damage due to fire, wind, or water? Don’t sit this one out. Call a professional Fort Collins restoration company ASAP. If you’re located in Northern Colorado and you’re experiencing a leak or flood, call 970 Services at (970) 888-0970 now and we’ll be with you shortly! If you’ve experienced water damage to the walls in your Northern Colorado home, you need to be attended to by a professional restoration company ASAP. 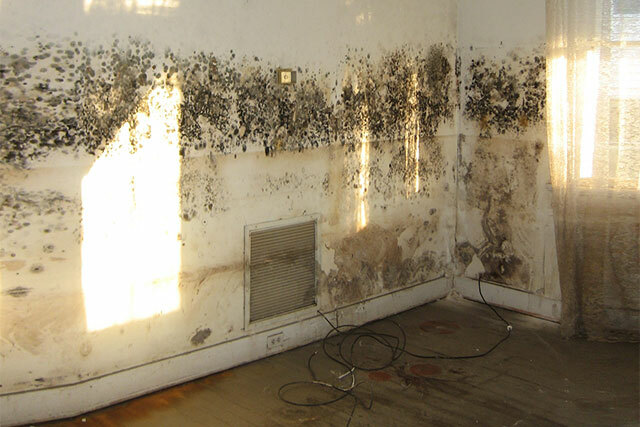 Restoration professionals will come in, assess the damage, and begin a drying process to prevent further issues (like mold growth or wood rot!). Not sure what to do when a leak springs? Here’s how to how wet walls after a leak or flood. Step One: Assess the damage. Once the leak or flood is over (and you’ve made sure all of your family is safe), it’s time to assess the damage. Because you’ll likely report the incident on your homeowner’s insurance, it’s important to avoid touching anything or cleaning up the scene. Leave belongings where they are; but document what you can so your insurance claim can be properly filed. Step Two: Call a restoration company. Next, you’ll want to call a restoration company to professionally assess the damage to your wet walls and create a relief plan. Choosing the right restoration company first should reduce any anxiety and help you feel back in control of your life. Quality restoration companies will work with you to document the disaster and negotiate with your insurance company. Step Three: Call your insurance company. Once you have a preferred restoration company in mind, call your insurance ASAP to report a claim. They will want to assess any damage, too—however, the claims and approval process can take up to a few weeks to complete. Document everything from the wet walls to damaged furniture to soaked flooring. When you have a leak or experience a flooding disaster, it’s best to keep your own records of what was lost for insurance purposes. While your insurance company and, likely, the restoration professional you choose will also document and photograph the scene, but having your own backup is important, too. If you are ever faced with a leak or flood that leaves your walls wet, remember to call a local, trusted home restoration company (like us!) first. Need assistance ASAP? Give us a call now at (970) 888-0970 or contact us online for a free estimate.